Happy Holidays y’all! How was your Turkey Day? Tofurkey Day? Twerky Day? 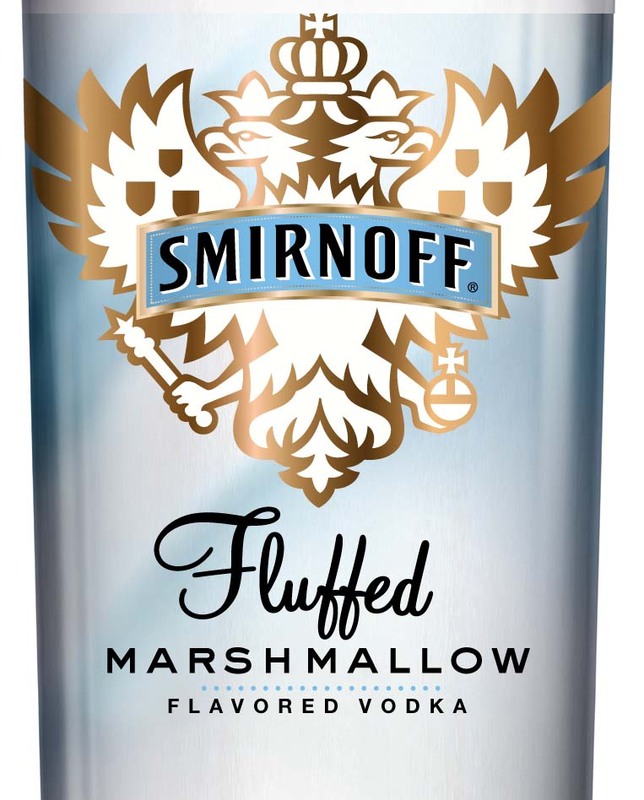 I’m thankful for my family, friends, stretchy pants and hot cocoa with marshmallow vodka. 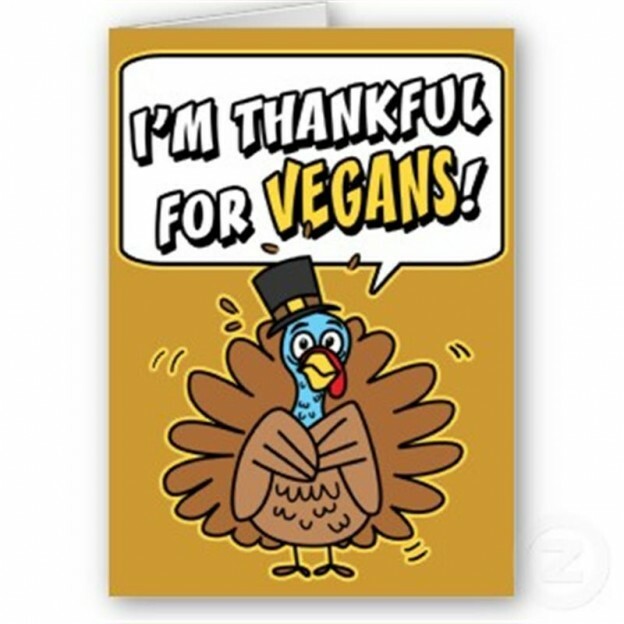 I was nervous about my first vegan Thanksgiving, making sure I would have food to eat while not being too much of a burden on my family who were slaving in their kitchen all day. It ended up being awesome- I brought mashed potatoes that I made with garlic, earth balance and veggie broth, and we had Brussels sprouts, green beans, stuffing, cranberry sauce and of course the mashed potatoes topped with vegan gravy, plus Alicia Silverstone’s crispy peanut butter treats topped with melted dark chocolate. I ate so much, I should have worn those friggin stretchy pants! I started watching Scandal recently and I’m completely obsessed! I love everything about it except for the fact that it goes so fast, if I start texting for 5 seconds I end up missing half the plot twists. So to keep busy, I’ve been making tons of popcorn! Except for when I start crunching it so loud I end up missing half the plot twists. 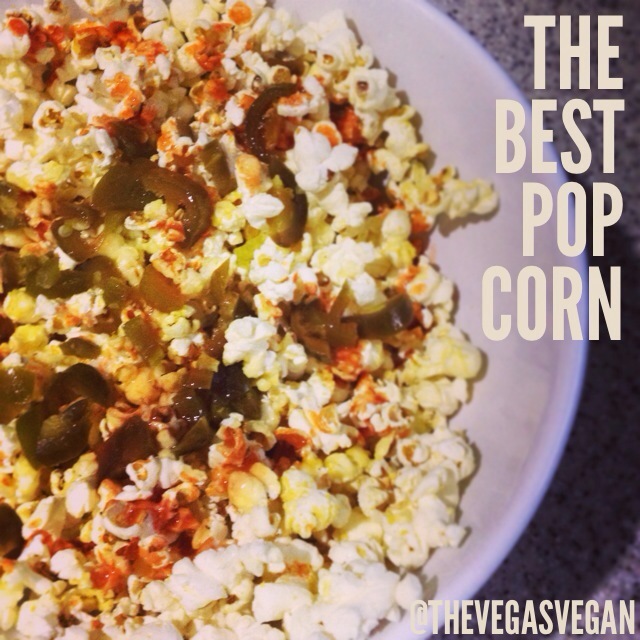 Don’t miss out on the awesomeness of popcorn just because every microwave kind has butter in it- here’s a delicious way to make it at home and I hope you love it! A quick note about nutritional yeast– don’t get weirded out because this amazing ingredient has the worst name ever. Nutritional yeast, in powder or flake form, is naturally vegan, gluten-free, sugar-free and it’s high in protein and B vitamins. You can get it in the loose bins at Whole Foods and it’s adds a great cheesy flavor to any dish. Makes: A big bowl full! Pop your kernels in a pan according to package directions. Transfer cooked popcorn into a large mixing bowl, add the salt and nutritional yeast first and toss to combine. Then add the lemon juice, hot sauce and jalapenos (to taste), toss one more time and eat right away!